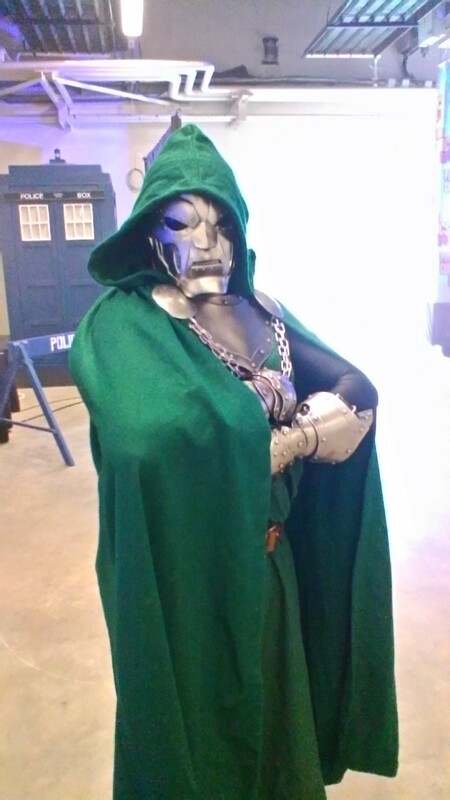 Even though I spent my whole weekend there, the PCE is something I am kind of close to, so I didn't want to do the report myself and asked Doctor Doom fan #1, Mr Marc Thery to do a write-up. Expect to read a couple of other pieces that we got to do thanks to the organizers both this week and the next! First, I'd like to precise this report is about the Paris Comics Expo, not to be confused with Paris Comic Con which is the new ReedPOP convention that started last year, so it is important not to confuse them. PCE took place over three days. Pre-sale Tickets: PCE tickets are really cheap, going for just €14 ($16) for Friday and €16 on Saturday and Sunday. This makes it one of the cheapest conventions in Europe. There are also reduced rates for children six to eleven years. The event was almost sold out before the date. No early bird ticket, but it is not so annoying unless you want a sketch in which case you must get up early like for any convention. 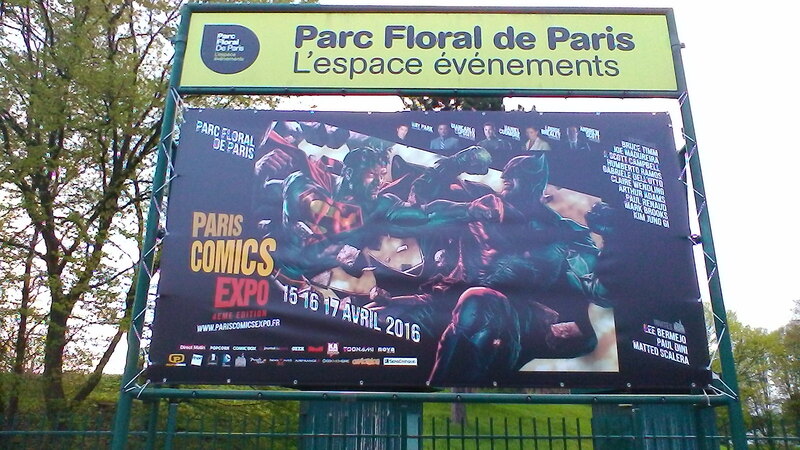 Retailers: Paris Comics expo is a very young comics convention, this being the 4th edition. The first year of their comeback, in 2012, it had only forty exhibitors, fifty artists and 2,400 visitors … Since then it's managed to turn up the volume quite a bit: 120 exhibitors, 100 artists and 20,000 visitors were expected. The stands are of different sizes ranging from a simple table overflowing with diverse and varied objects, to huge stands exceeding eight tables. 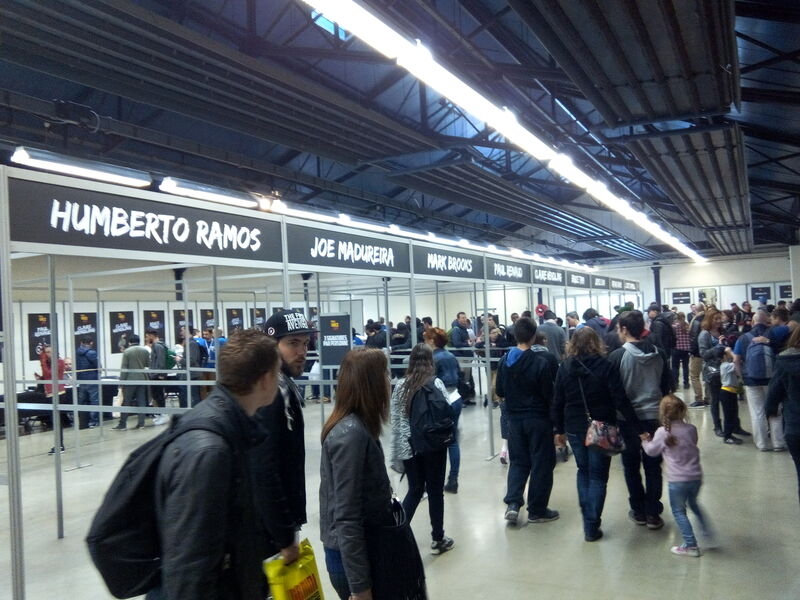 The stands were varied in nature, with US comics sellers, French comic book sellers, publishers (Panini , Urban, Glénat, …), toy sellers (but not that many POPs). More seriously: to enter the hall, you had to walk across a beautiful park. This changes nicely from the long queues along all gray and sad hangars, that we encounter all too often in cons. 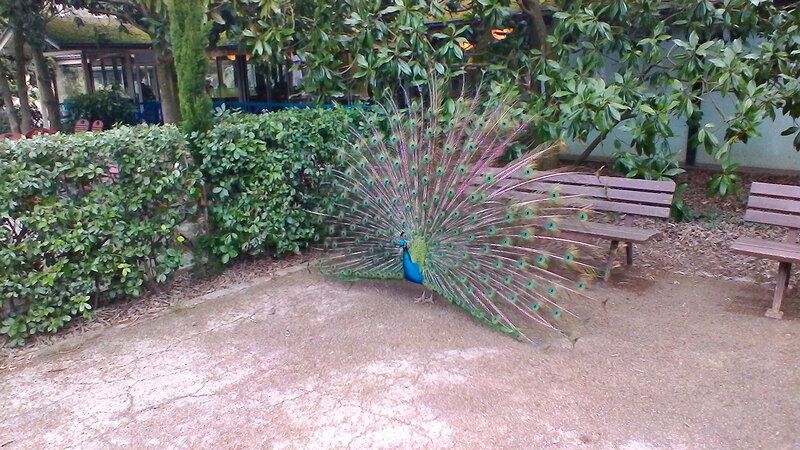 Along the way, it was possible to meet wild peacocks watching us queuing. This time it's us rather than them who are behind bars (those bars guide us towards the entrance of the Convention). Because of the terrorists attacks last year in Paris, security was reinforced with pre-entry control, bag check and metal detector scans. Then you had to pass through another check and enter. Everything is done in less an hour … And one of the security guards was wearing Superman's top. Nothing better to relax the attendees. Inside, the stands were divided almost in a grid without too much rigidity which is nice, because nothing is more annoying than walking around perfect rows. Right by the door, you had the official store which sold the Batman #50 and Superman #50 connecting variants by Lee Bermejo and Unbelievable Gwenpool #1 by J. Scott Campbell. Instant buy of course. Then there are the publishers who sold exclusives but only in French language. Nevertheless, the publisher Panini offered its trade paperback Secret Wars Spider-Man #5 with a virgin cover of Renew your vows #2 by J. Scott Campbell, and one Vader down paperback with a virgin cover of Mark Brooks's art. Instant buy also. Then we continued with seller of goodies, comic books, which extended over at least half of the convention. There were comics for all prices ranges. Another part of the areas was dedicated to pop culture fans with models of a De Lorean car, a Dewback from Star Wars, and so on. The artist hub was down the hall. It was rather well organized for the most important artists , the queue overflowed quickly and extended along a few stands. The convention was comics oriented, and you wouldn't have been able to find much manga. Most ridiculously overpriced book: the largest stand of comics sold at really high prices. There were not too many comics at only $1. On the other hand, you could find some gems as not all bins were sorted. People could easily miss interesting comics if they weren't patient. Highest Priced book: there was a CGC comic book dealer who sold at reasonable prices and I didn't see comics at really prohibitive prices. But as I was paying attention to what were in the dollar bins, it is possible that I missed some… Highest priced comic books were mostly those from Bruce Timm, Paul Dini, J.S Campbell and Lee Bermejo as they were the main guests. I saw a Mad Love #1 at over $200. But I think there must have been more. 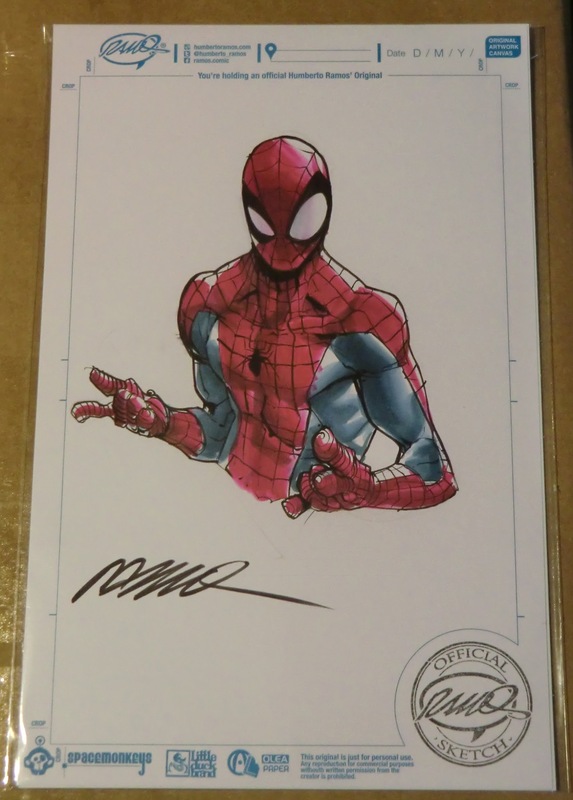 Best bargain purchase: my priority on this convention was not to search the bins from the spec comics, but instead to get signatures and ideally get a sketch of Gabriele Dell'Otto or Humberto Ramos. So I did not hit stores the first day, and I probably missed the best opportunities to speculate. However on the second day, I still found a 52 Week # 6 and a Fantastic Four #52 reprint in excellent conditions in the dollar bins. Favorite Comic: As i'm quite new in comic collecting, nearly everything interests me, so too much stuff to write there. Highest priced surprise: I would say this is the price of Gabriele Dell'Otto's Sketches: he charged a minimum of $700. I expected less. It seems to me that it was the artist whose price was the highest for a sketch during the con. Were there any artists: are you kidding ? :o) There were distinguished guests: Bruce Timm, J. Scott Campbell, Arthur Adams, Kim Jung Gi, Paul Renaud, Claire Wendling, Humberto Ramos, Gabriele Dell'Otto, Joe Madureira, Mark Brooks, Joyce Chin, Lee Bermejo, Paul Dini, and so on … in total, more than 100 artists. This line-up of artists is the most prestigious for a French convention ever, far above other European conventions such as FACTS in Belgium or the London Film and Comic Con in UK. All the artists were very friendly, relaxed and delighted to sign or make sketches. They were not divas. The signatures were limited to three per person, so the queues advanced quickly. If you had more comics to be signed, they were charging $5 to $10 each, or you had to queue again. As the queue, however, could turn quickly enough, going through the queue again was not necessarily unpleasant. For example, I had no trouble to get all my Star Wars: Vader Down run signed by Mark Brooks or my Spider-Man comics by Humberto Ramos. The latter was also impressive, able to give an interview while drawing up and occasionally lifting the pen to sign. Having a sketch was not easy because all the artists took their time to draw well, but I finally got mine. It was not finished on the day of the order. There were only a few artists for whom the conditions were more difficult: for Lee Bermejo there was a random draw, and for Bruce Timm, a very limited number of slots for sketches. If I were the promoter: It lacks a CGC or CBCS stand for comics to be graded and slabbed directly once signed and seen by a witness. This would be a nice feature for further professionalization of the convention … Also, the exclusive Batman v Superman and Gwenpool variants were often damaged in one corner of another: Pulp Comics, the organizer should be more careful with these exclusives … Otherwise everything was almost perfect. Selling comics: I have not tried to sell comics because it's only been three years that I actually started collecting. For now, I am building up my collection. Swindling: I have not witnessed fraud attempts. Vendors and customers were generally very relaxed. I didn't hear anyone crying due to scam attempts. Food: Paris Comics Expo must improve on that because apart from two sellers located just outside the lobby, there were only bagels, burgers and chips, so there was not much variety. However, the bar area was of a sufficient size. There was never really strong influence and the service was fast. Comics presence: This con is comic-centric but it would need more US comic book retailers. 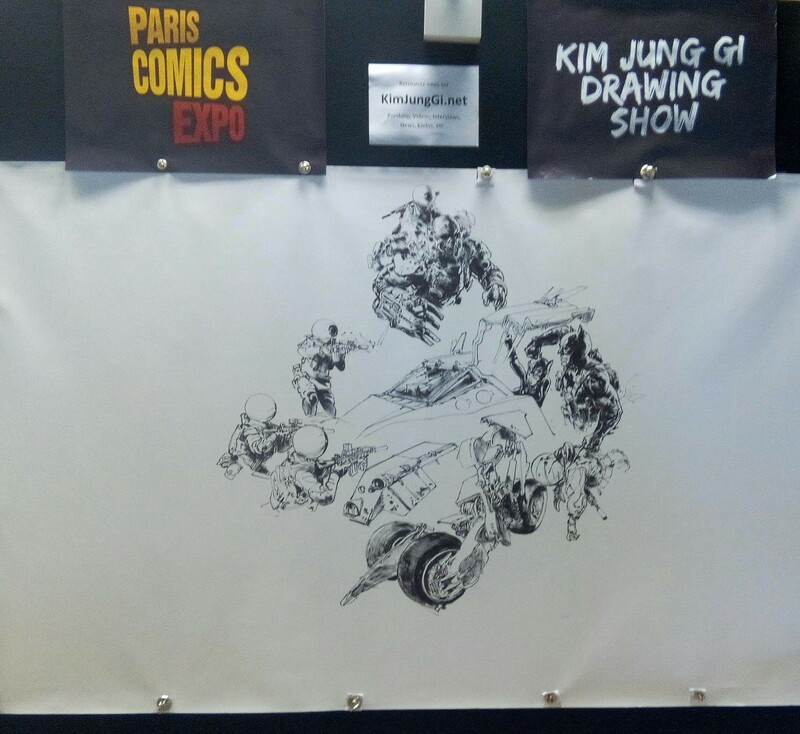 However, there were merchants from Belgium and the Netherlands, which shows the influence of Paris Comics Expo. Goodies vendors weren't so many as they can be in certain conventions. There were few guests from TV shows and movies, including Andrew Scott , Ray Park, Giancarlo Esposito and Daniel Cudmore from the X -Men. Cosplay: what would a convention be without cosplayers ? Iñigo could tell you it'd be better :o) but for my part I think it's rather fun especially if the cosplay is very well done, or rather completely failed. Crowd: 20,000 people were expected this weekend which is a marked increase over previous editions. The aisles were wide enough so you didn't have to trample on your feets. This greatly contributed to the pleasure of the con. Haggleability: it was possible to haggle and it was even necessary because basic prices could be a bit high. But you didn't need to be a bargaining expert or struggle a lot to get good prices. You could easily get a 20% discount on the prices stated. Overall: I will return without hesitation to Paris Comics Expo. If you have the opportunity to be in Paris on the weekend it takes place in the future, don't miss it. And if you were not happy then, you should know that there are more and more comics shop in Paris, because the population has a growing fan base. It was a good weekend and I'm eagerly waiting the next edition. August 18, 2018 Fan Expo Boston 2018! How was the selection of vintage foreign editions of American books? Did you see many? There were vintage comic book in french language such as “Special Strange”, “Nova”… and from old french publishers (Semic, Lug, as so on). Very cool read, thanks for sharing!